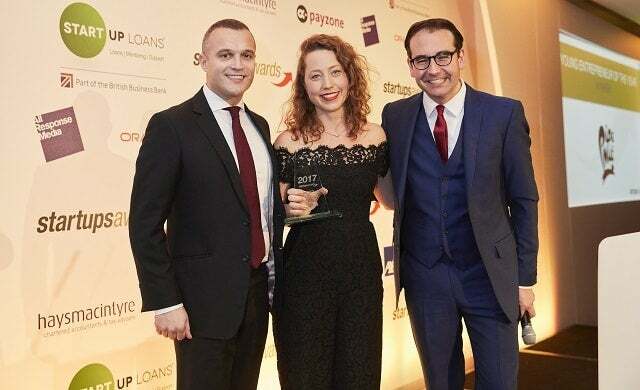 In 2016, when Pip Murray scooped the Women in Business Award at the Startups Awards, Pip & Nut – then not much more than a year-old – was available in 2,500 stores across the UK. Just one year later and Pip & Nut’s range of natural nut butters and almond drinks is stocked in more than 4,000 stores and has hit sales of £3m. This is phenomenal growth for an early-stage brand in a highly competitive space, and just one of the reasons 29-year-old Murray has been crowned Young Entrepreneur of the Year at the Startups Awards 2017. Another reason, and one that makes this feat even more impressive, is that Murray had no previous experience in the food and beverage market when she launched the Pip & Nut brand at the age of 27. This year has also seen Pip Murray inducted into the Young Guns Class of 2017 – the annual index of the most talented entrepreneurs in the country aged under 35 running fast-growth businesses with over £1m revenue, or more than £1m in funding. Murray has used the power of social media to great effect to spread her brand message to an engaged audience of 85,000 followers on Instagram and 12,000 on Facebook. Not one to rest on her laurels, Murray – a keen runner – shows no signs of slowing down, with plans to take the brand to revenues of £10m by the end of 2018 and an astonishing £25m by 2020 – ambitions that have been made possible by a £10,000 Start Up Loan she received from The Start Up Loans Company. Inspiring young entrepreneur Murray faced off worthy competition in the form of Highly Commended Young Entrepreneur of the Year Mark Wright, the 27 year-old founder of digital marketing agency Climb Online, and the founders of recruitment firm Wiser, Fin O’Kane, Omar Habbal, Ben Buffone, and Ari Ratnakumar (aged between 22 and 30), who were named Commended Young Entrepreneurs of the Year.